First here is peek at my latest in the series of Basket sets, Basket Additions 3! Filled with tons of new images appropriate for fall holidays, events, kids, and tons of WORDS, I know you will love this new set! And the card above actually uses two sets, because if you read on Gina's blog, this basket is from the popular Holiday Basket set, which is being re-released with a clear option, so now you can get it in clear or rubber, yeah! So easy for lining up! And for those of you who love Halloween, we've got a little something extra for you for Halloween cards, projects and treats! 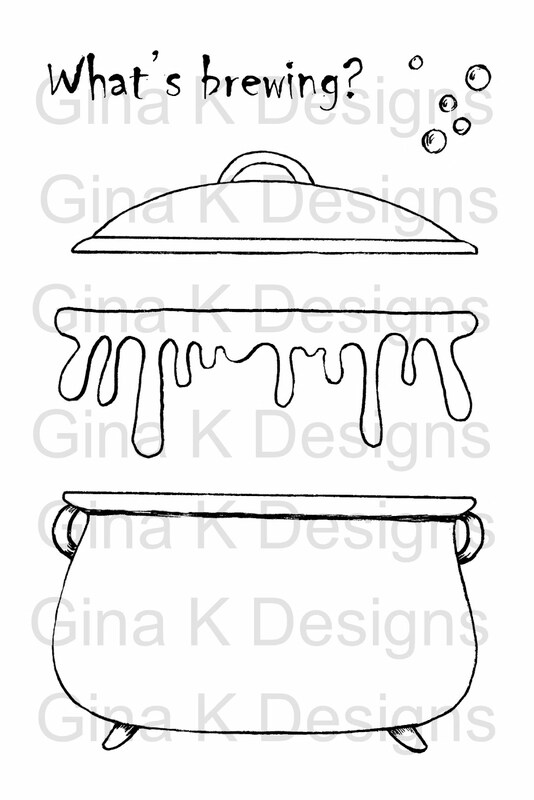 One of our first digital image sets from Gina K Designs, this adorable cauldron and accessories!! 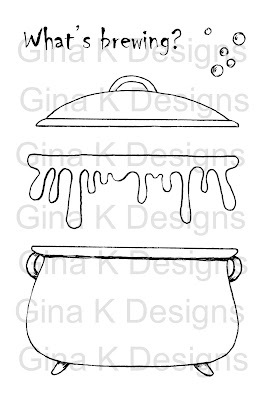 Not available in rubber or clear, this digital image fits the Halloween image you see on the card above from the new Basket Additions 3 set (how cute those spooky friends peeping out from under the lid!! ), as well as any of the other Basket Additions sets (or what ever you might want to stamp into in a pot! LOL!) Hope you love this new digital option: just print, color and cut (with a cut file we'll also have if you choose!) A very affordable way to get something specific (but versatile!) 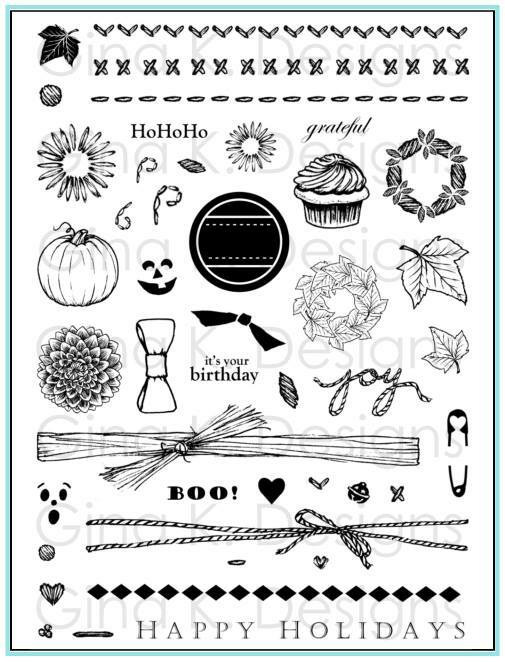 that will be so fun this time of year without having to purchase a full set of Halloween stamps. Have fun hopping and seeing what other surprises are in store for you this month! And hope that you will be able to swing by our release party Tuesday 11AM-1 PM Central at StampTV! Video with Gina and chatting with the teams, contests, prizes, full set reveals, shopping and samples--Whew! Sure to be a blast, can't wait to party with you! Hugs, thanks for visiting! More Stuff on Cameo Cut Files! I've been working really hard on these files with your stamping and projects in mind, wanting you to get the most bang for your buck (and in this case, even less than a buck, 99 cents!) With some instructions and practice, if you have a Silhouette you can create a cut file to match images you own by scanning and editing them, but I will tell you even with practice, some sets especially those with a lot of hand drawn detail, can be very time consuming, and require a lot of erasing and tweaking to get the outline just right. 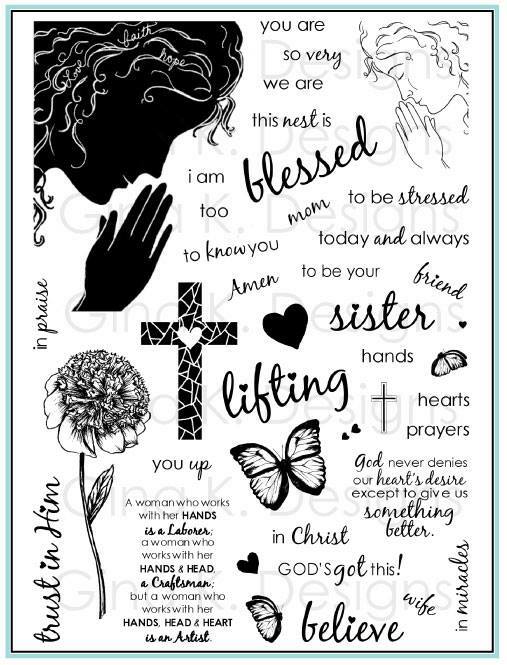 So if you are very comfortable with your Silhouette, or have a lot of time on your hands to make these on your own and test them out, you absolutely can, no need to purchase new files. They can take anywhere form 15 minutes (with a lot of practice and simpler set with very few images) to a couple hours per set, most being closer to the latter time...my sets have a LOT of images!! I have finished cut files for almost 30 sets so far. Woot! I have both cut AND mask files ready for a few that are very recent or most popular, but still working on catching up on the masks. The files with the 1/8" border are the priority to get in the store. I know Gina plans to add them all gradually to the store. I believe the priority there will be most recent sets and sets that are seasonal that you'll most likely want to purchase now as we work our way back through our catalog. You are welcome to put in a request for a set you need file for! My goal is to have them for every set I've released! The exciting thing is, having the ability to have perfect cuts around images can make an older set seem completely new and open up lots of new possibilities! Fun to bring new life and inspiration to well loved sets of the past! 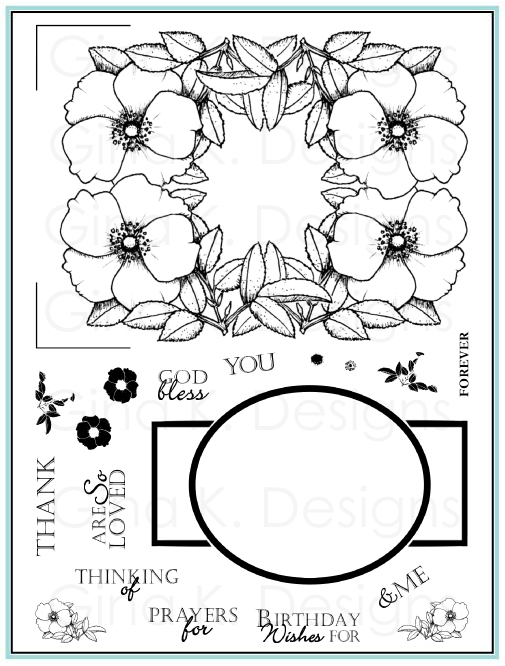 In some sets I have added a shape that will work well with the sentiments in the set, like a large oval or circle, plus one a little larger for a mat for layering. While they are not designed to fit any stamp images in the set, these will be like some fun new tags for you, planned to work nicely with the style of the set! Hope you love the convenience of that! Some images will include more than one cut to go with it, so you'll have options! For instance, something like a frame or label, looks nice with just a cut around the outside, as well as with cutting on the inside for a window and a more detailed look. When stamping I want to be able to do both, so I want YOU to have both,too. One the same file, enjoy! You are welcome to put in a request for a set you need file for, my goal is to have them for every set I've released! The really exciting thing is, having the ability to have perfect cuts around images can make an older set seem completely new and open up lots of new possibilities! Fun to bring new life and inspiration to well loved sets of the past, especially those that might have required a lot more fussy cutting to really shine and have lots of dimension! I know I'll be playing and posting with some oldies but goodies! Some of you have asked here and other places about svg files. My response to that is, "What is an svg file?" No, but seriously, I *know* they're for other machines, but I don't know whether we will be able to do that with the Cameo software we have, my understanding is that the Studio files only work for the Cameo. This is all very new to me and the first cutter I have owned. Certainly it would benefit ALL of us to have everyone be able to purchase files to use with ANY cutter, so if and when that is possible, I know Gina will keep everyone in the loop as she always does. I'm my crossing fingers! Good morning! Thanks for all your comments yesterday, it is so fun to share the excitement for the Silhouette! More Cameo cutting goodness and tips, coming soon! 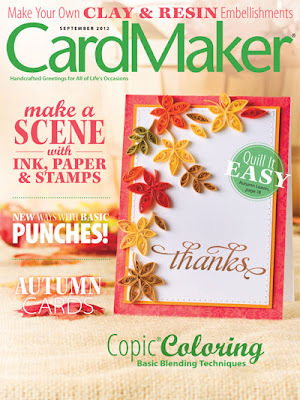 Today I would like to turn your attention to the latest issue of CardMaker magazine (September 2012) I do not believe I have any projects in this one, but his morning I was treated to A VIDEO on their homepage (<--click that link to the left to watch), featuring my friend and editor Tanya Fox! Isn't she lovely? So fun to get a sneak peek inside this issue as well as look at all the fantastic changes they have made to the magazine! I will try to get some more stuff scheduled for you to read over the next few days, right now I am just focused on swim! Jonathan will be swimming at the State meet on Friday morning, I am so excited I can hardly stand it! Please send up some prayers we are all healthy and he has the swim of his life! Hugs, more later, have a terrific day! So how pumped is everyone after seeing Gina's video of the Silhouette Cameo in action? 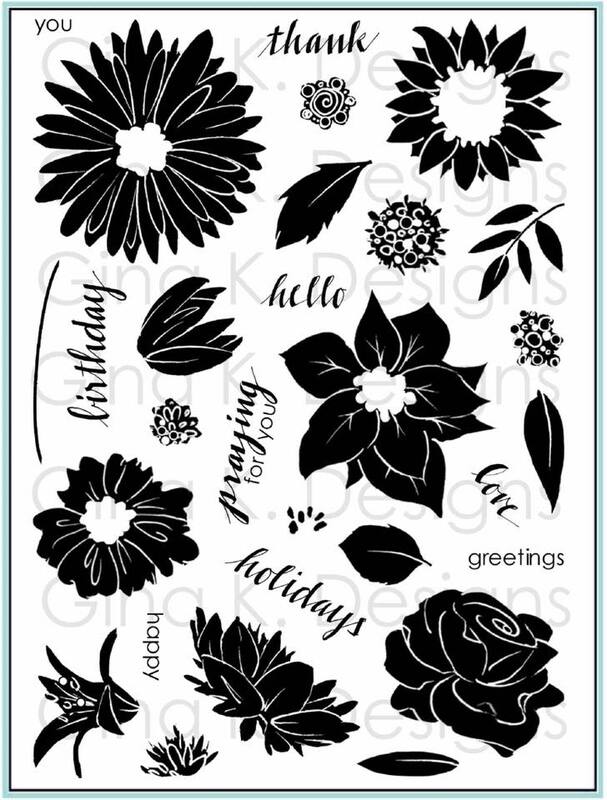 I am just giddy knowing there are cut files coming for all your favorite Gina K stamps, aren't you?!! 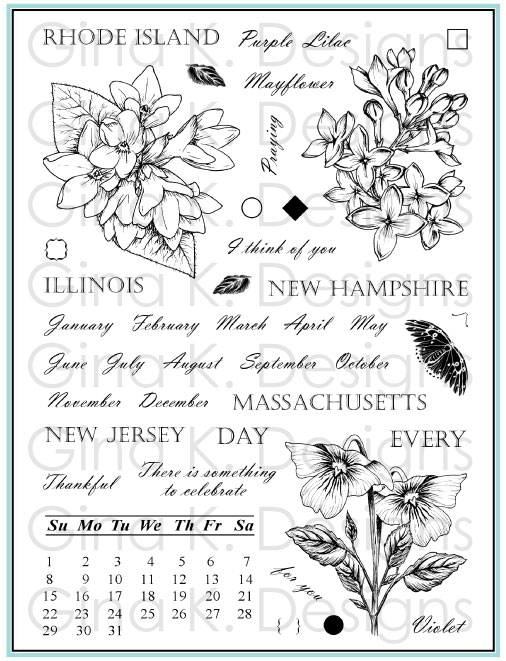 So I haven't blogged in a week, because ever since I've been creating cut files for the store for my stamp sets, squeal!! So here we go: a photo a day for every day this past week I missed blogging! First up, Pretty Patterns meets the Silhouette! SQUEEEEEEAL!!!!! 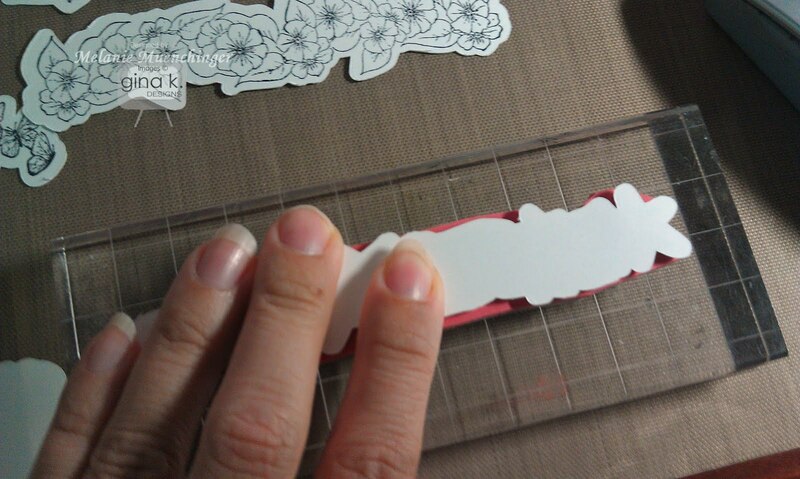 And here I am showing how to line it up just position the stamp over the cut cardstock until you can't see ANY white cardstock, whihc means you are lined up, and press down. Flip over your cut border and carefully lay it on top of the image. Carefully run your fingers over to hit all of the image. (You may want to top it with a piece of scratch paper or pad of sticky notes to press and keep the cut out fro sliding around) Presto! Perfect! Anyway, I couldn't be happier with the results I am getting with all my stamps, whether they are clear or rubber, die cut or not! Having said that though I think moving forward the easiest way for most people who intend to use stamps with the cut files will probably find clear the easiest. Just wanted to share the good news so you can purchase with confidence and expect great results! And finally, I also plan to make MASK files that will cut BORDERLESS, so you can use them for masking OR when you don't want a rim around the edge, here you can see two versions of this image cut with a 1/8" border around, and also exact size, these were both cut with the Silhouette Cameo and stamped after! With a rubber stamp! (Do you recognize which set it's from??) :) Imagine having 10 of these all cut for you for an over the top fabulous arrangement! DO YOU LOVE?? So that is just one more option for you! Thanks for visiting today! What stamp sets are YOU most excited to be able to cut?? Hello! Happy Sunday! 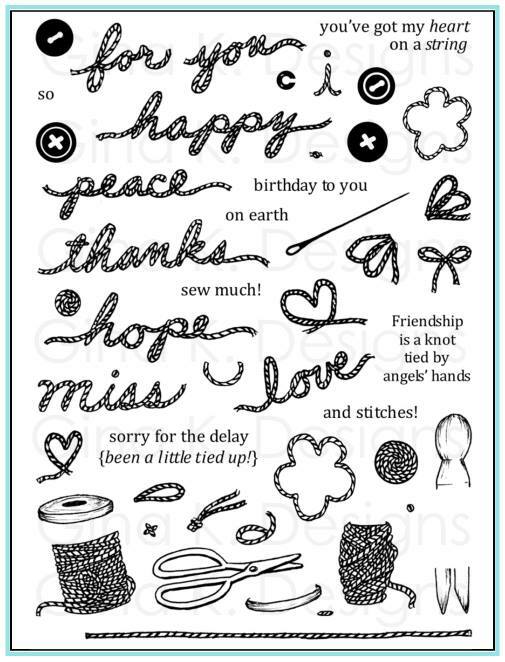 Here is the last card I shared at the release party with my new Pretty Patterns set. 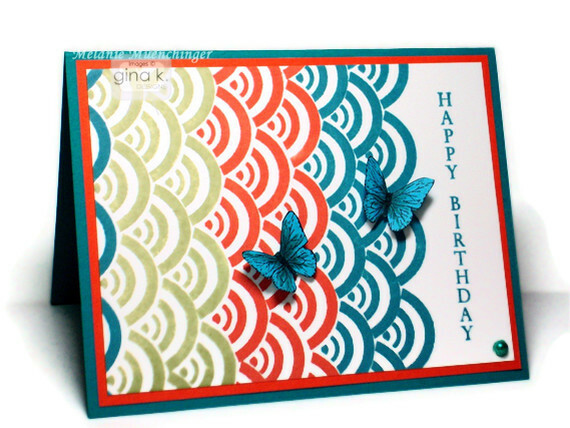 Cardstock is from the new Gina K Pure Luxury Calypso collection (plus layering weight White), and inks are Memento Teal Zeal, Morocco, and Pistachio. Love the contrast of these colors! So fun to create rows and layers of these scallops inn different inks, what an easy way to work in a color challenge! Butterflies from A Beautiful Life are stamped onto Carnival Blue and then shaded with BG49 Copic. Greeting is from Theresa's Mountain Wilderness. 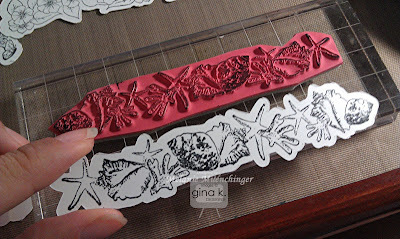 I also wanted to point out how varying the distance between the scallops when you stamp changes the look: in my card they are nested pretty closely together, but as you can see in Gina's sample above and video, you can put about 1/8" to 1/4" between each row, which will create a white space similar to the width in the patterns of each of the individual scallops. And that looks fabulous, too! 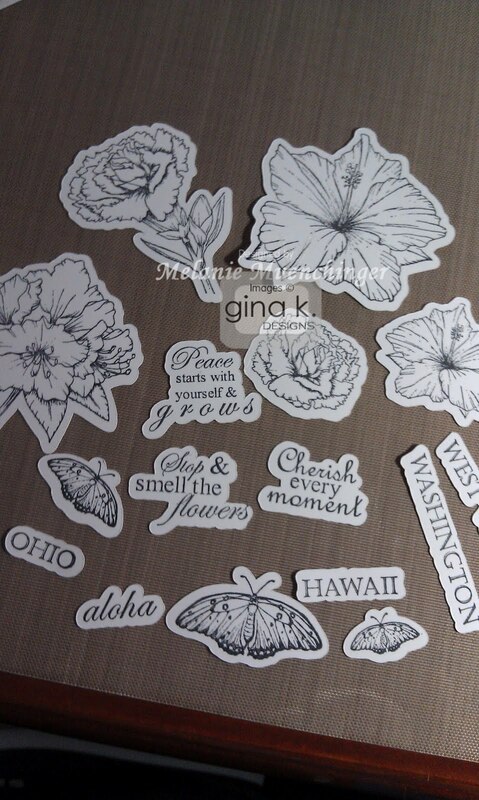 The Clearly Gina K stamps make it simple to stack them however you wish! Last thing today, I wanted to share this cool new free online service, Foto Fuze! (Does this picture look different?!) You can upload any photo to the site that you've taken on a white or black ground, then highlight the image and the shadow with your mouse, and like you magic, it erases the background and adds this bright white background for a really professional look! So I tried this one this morning, a photo I had already taken. (It would have turned out better if I had used a white sheet behind rather than the two pieces of white paper, it works better without a seam, this messes up the shadow slightly as you an see on the right. But how I love how brilliantly white it looks and how the card stands out! I'll be using an 11" x 14" piece of paper for a curved edge behind from now on because I don't have a white sheet.) Just wanted to let you know because it makes editing your photos really easy, no light box necessary. There is even a video before you do your first upload that shows you more pointers for how to use it, although it very simple without, and in it how even a light box photo can be improved. Please enjoy! Although I uploaded this Pretty Patterns sample to the party and our STV gallery, I hadn't put the full cards on my blog yet, oops! 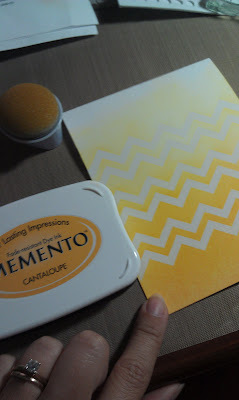 A couple things to point out: the space in between the two chevron on the stamp is exactly wide enough to accommodate the chevron when stamped again, so it works perfectly as a filler for gorgeous seamless color! I love stamping off this way to use it like two step and create more colorful backgrounds in half the time with half the inks! 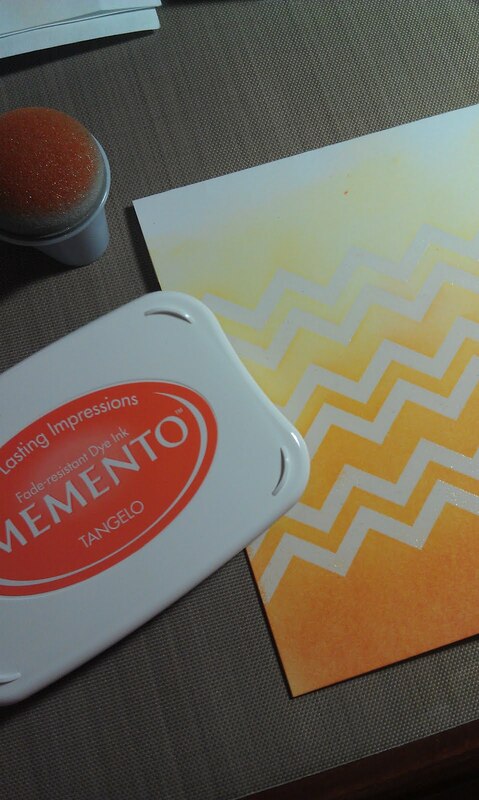 This rainbow I made with Memento Love Letter, Tangelo, Dandelion, Cottage Ivy, Bahama Blue, so you only need to ink up the chevron one time with each, shift and stamp a second time, clean stamp and move on to the net color. To balance this design, I chose to make the banner with Pure Luxury Blue Raspberry to bring that bottom color to the top, and in the same way stamped the balloon from Square Pegs (this bold all occasion set works nicely with the Pretty patterns) in Love Letter and stamped again without re-inking to make the pink one, putting these at the bottom. This pulls your eye back and forth and provides a nice contrast. Tomorrow, a scalloped card and some tips for that! Hope you have a fun weekend planned, or if not, a relaxing one! Hugs, thank you for visiting today! Good morning! Welcome to our final day of Gina K Designs Inspiration Hops with the design team! 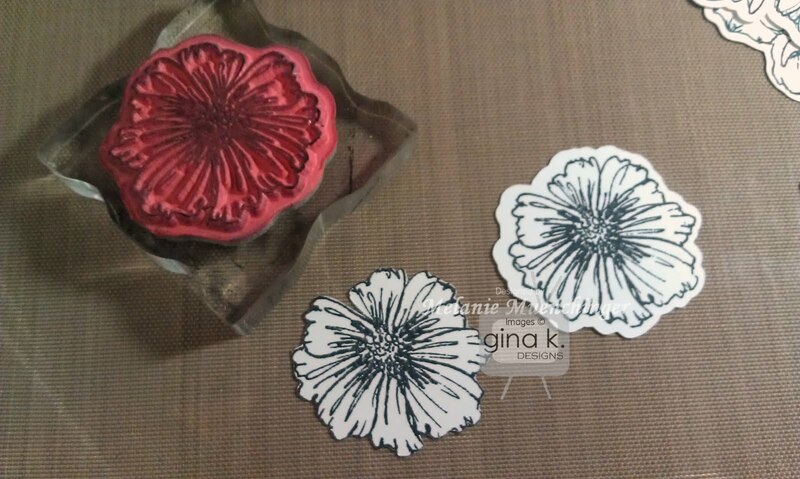 As you hop through the blogs, make sure to leave a comment on each of them because we will choose a few random comments and those stampers will each win a grab bag of deeply etched, pre-cut Gina K. Designs stamps! To see the full list of winners check the Big News forum at Stamp TV a couple of days after the hops. First up, we have "The Good Life"! A really terrific set if you are an outdoorsy family or have lots of friends with lots of camping and road trip memories. Perfect for scrapping too! I colored them and added a little Copic C-3 below for shadows. Instead of having just a plain white card base, I added some scoring to give it some clean lines, interest and be kind of reminiscent of decking. 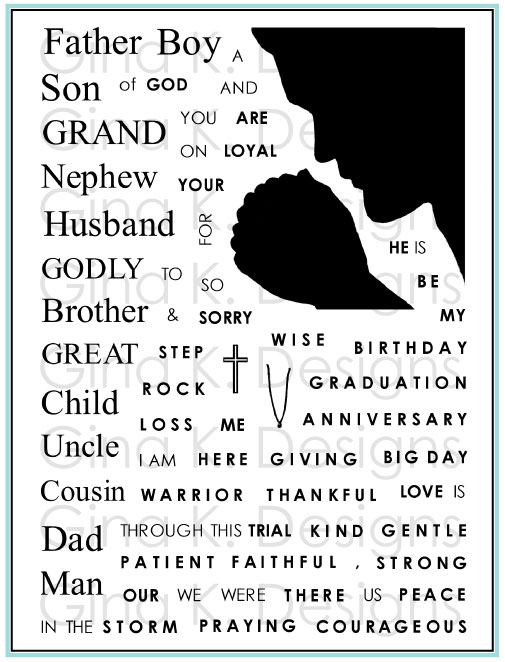 Next up, we have the new Free with Three set Assorted Greetings. 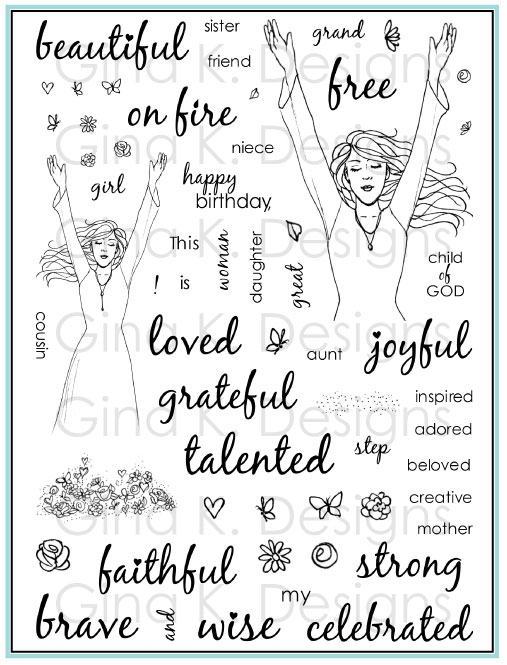 Buy any three sets from Gina K Designs this month and get these versatile sentiments free, perfect for your cards, inside and out! For an anytime card like the one with the chairs above, it's so nice to have a greeting like "You bring a smile to face" for the inside. Sign it and you're done! Sweet and simple, says it all. 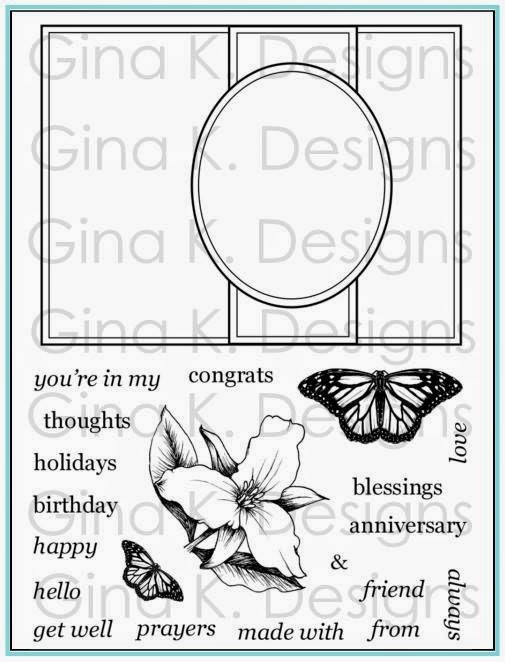 :) You can also see how I used two more of the greetings from this set on this card form Monday's hop. Thanks for joining us for our hops this week, hope you enjoyed and came away with tons of ideas and inspiration for the new stamps, as well as your old favorites! Have a fabulous day! Inspiration Hop Day 2: Tropical Nature and I Do! Good morning! Welcome back to our Gina K Designs Inspiration Hops with the design team! 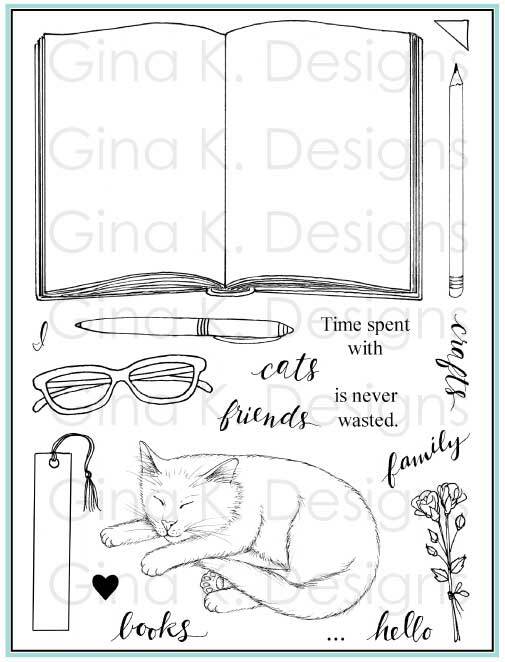 As you hop through the blogs, make sure to leave a comment on each of them because we will choose a few random comments and those stampers will each win a grab bag of deeply etched, pre-cut Gina K. Designs stamps! To see the full list of winners check the Big News forum at Stamp TV a couple of days after the hops. but here's what I came up with....hee hee! Do you like it? "I do!" Everything you need is in this set, and Clearly Gina K stamps make creating this face so easy! I don't have any mustache stamps despite how the current craze, so now I can be part of the "in crowd" lol! Start by stamping the bracket for a mustache in Memento Tuxedo Black. Next stamp the equal sign above, centered over the bracket to create the bridge of the glasses. Color the middle with gray. stamp a circle (ahem, lens!) on both sides touching to creating the spectacles. Add a heart inked in Memento Love Letter to each side for a smitten look! The 4 suggest a cute nose and the "ever" makes a nice little mouth/chin. Now the card/face "reads" from top to bottom, almost like a rebus: "love 4 ever". Next up we have Tropical Nature by Theresa Momber. I love how all the images in this set and her previous Aloha set complement each other, with all these elements you can create the paper islands of your dreams! I had to start with some of these beautiful palm fronds (get the clear stamps on this set too, by the way, great for two step stamping all those leafy bold and line art images! ), which are so versatile as embellishments for so many cards, and her pineapple*, love this symbol of hospitality! 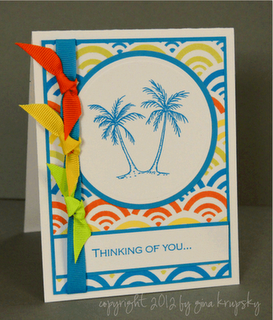 Cardstock is Pure Luxury Sandy Beach, Calypso Orange and Turquoise Sea. I stamped the scallop from Pretty Patterns on both the orange (in Memento Morocco) and blue cardstock (in Memento Teal Zeal) to suggest a sunset and waves. The torn edge and raffia adds to the casual, tropical feel. These waves are calling me!! Love it, Theresa!! 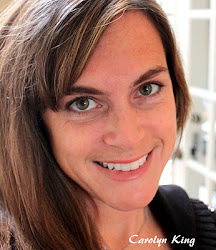 Becky Oehlers – Illustrator I Do! See you back here tomorrow for our final day of inspiration hops! *Incidentally, pineapple is one of my favorite fruits, and one I totally craved while pregnant with Jonathan. 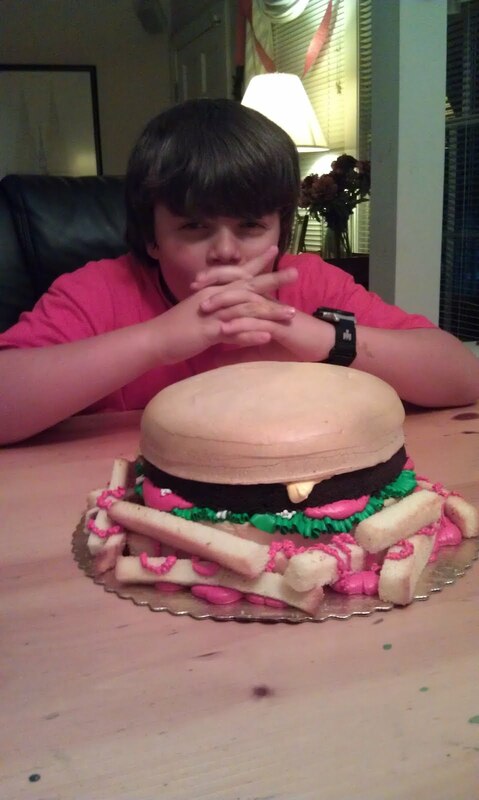 Like, go buy one, cut it up, and eat the whole thing in one sitting! I know, right?! But hey, fat free, could've been worse! Sorry, I digress, just a funny memory! Good morning and happy Monday! Welcome to our first day of Gina K Designs Inspiration Hops with the design team! 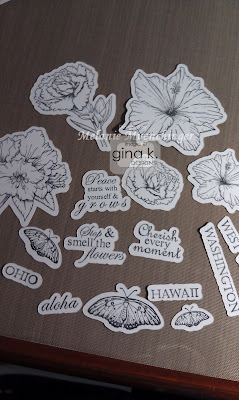 As you hop through the blogs, make sure to leave a comment on each of them, because we will choose a few random comments, and those stampers will each win a grab bag of deeply etched, pre-cut Gina K. Designs stamps! To see the full list of winners check the Big News forum at Stamp TV a couple of days after the hops. 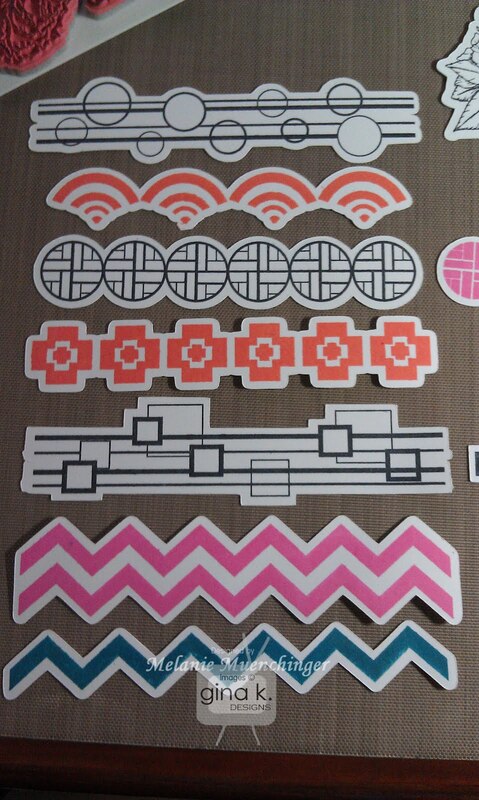 First up we have my new Pretty Patterns. I got more samples made with this set in one sitting than I have with any other of my sets in quite awhile, these just go so quickly and can provide so many looks, it's easy to get started creating, and then want to re-create one in every color! :) I've already uploaded several samples using all of the different borders in the set to the StampTV gallery, which you can see here, but today I wanted to show you a one layer card using just the chevron to create a beautiful ombre. 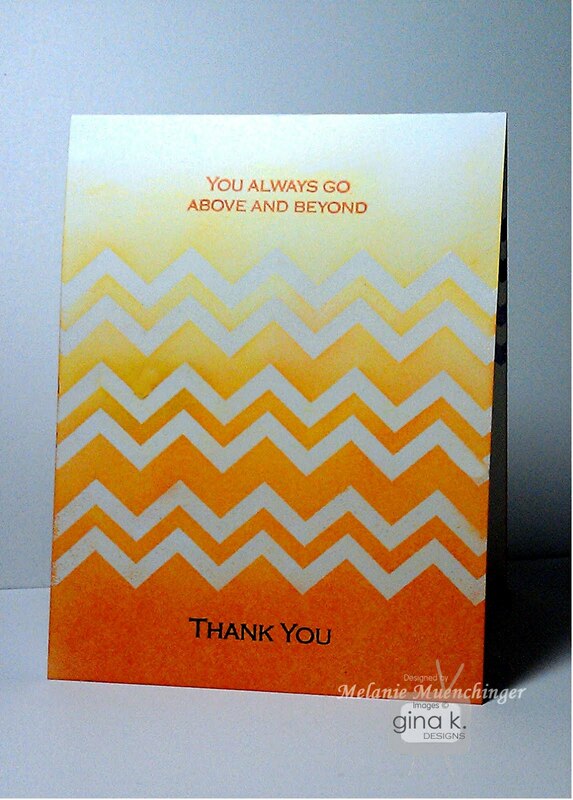 First stamp the chevron three times in Versamark on white cardstock, leaving space above and below for the greetings. 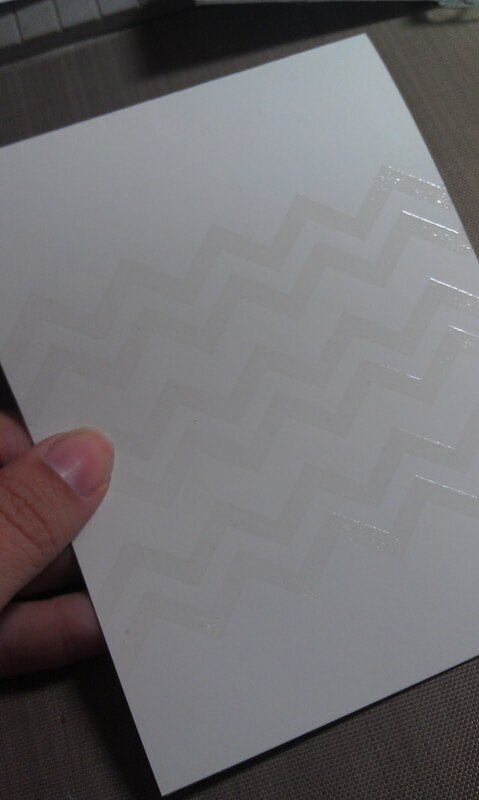 Emboss with clear EP. Just this look by itself I love, like dry embossing, very elegant for single layer white cards! 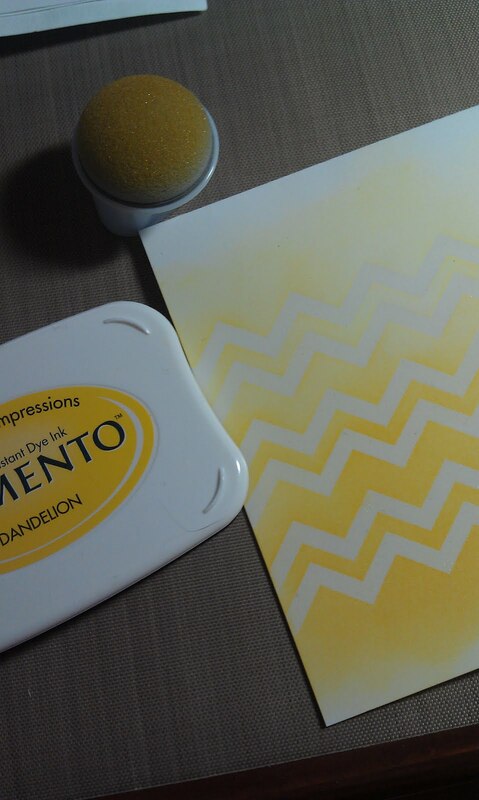 Next, ink up your jumbo dauber in Memento Dandelion and start sponging over the embossed chevron concentrating the ink near he bottom fading out toward the top. Now do the same with just Cantaloupe near the bottom to deepen the bottom half. Last sponge Tangelo onto just the bottom third. 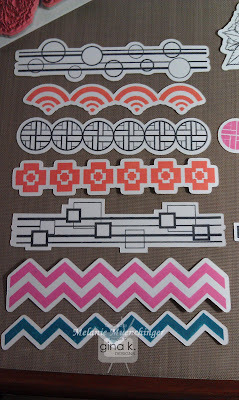 Isn't that build of color to the top and resist of the chevron print lovely? 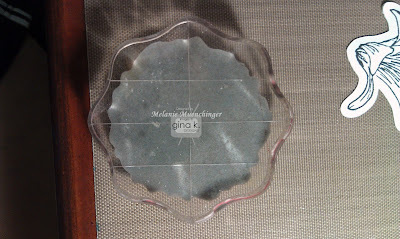 Melanie Muenchinger – Illustrator Pretty Patterns-you are here, thanks for visiting! 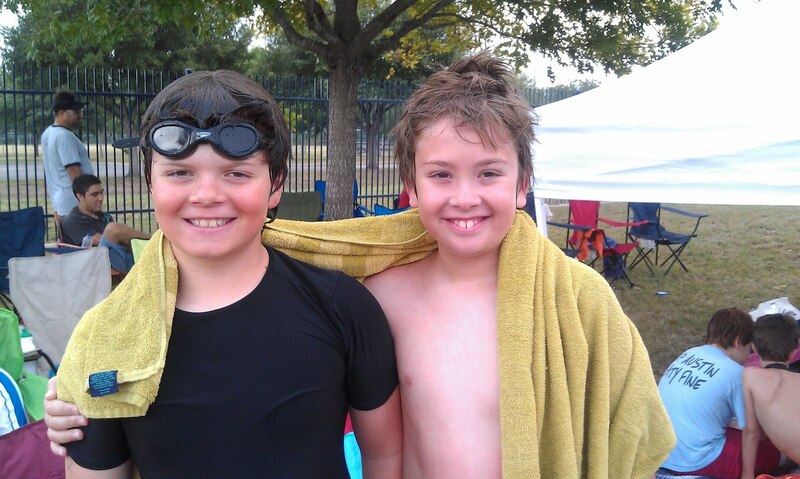 Thanks so much for all your prayers, the boys had great swims yesterday! William came 1st in his heat and took another 4 seconds off from last week (but there were so many heats for that race it didn't qualify). 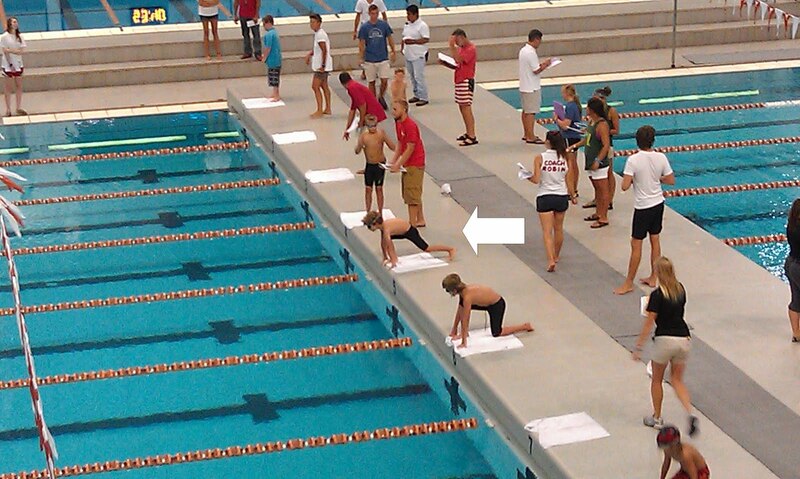 Here is he is taking his mark. Jonathan's relay team did not place, but they and the alternate performed well and finished fourth 9so might be alternates? ), and nobody else got sick, thankfully! Jonathan did qualify for state again, finishing second in both the 25 free in the 50 free, so he will be swimming both those events in Corpus at the end of the month. Jonathan had a personal best on his 25 free and missed 1st place on the 50 free by just .01 second, (35.01, versus 35.00) the closest race of the entire day. I told him we'll have to skip clipping his fingernails next time to extend his reach, hee hee! ;) He was very happy to take second to his teammate, Nicholas, who has been great competition for him all season, as both boys have been pushing the other to go faster. Now they both get to go to the State meet together (Jonathan had already qualified to go for the 25m free, so Nicholas really needed that win). Here they are right after the 50 yd race, Jonathan on the right in the black cap and Nicholas to his left in the blue cap. I love how happy Jonathan looks, even after the narrow miss at a trophy (only first place gets one) He can be pretty intense before his races, but doesn't fall apart or stew if they don't go his way or obsess over what he might have done differently. So excited for our team since we have three kids who qualified for the city team this season! (and that I have some families to carpool with to practices, hee, more stamping time!) Thanks for letting me share our happy news! Excuse me while I go finish a post for inspiration hop tomorrow, eek! Hope you had a terrific weekend and lots of our own things to celebrate! Hugs! The Big Meet! and other stuff! 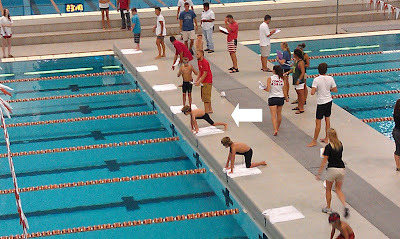 His times have him seeded first for both events (15.59 and 34.62 seconds) at the UT swim center, so he'll have the center lane (advantage, less resistance from the wall). Oh, it was like watching in him the Olympics at that beautiful pool and big screen last summer! It is considered one of the "fastest" pool in the country, as well as having accurate time keeping rather than a timer at the end of each lane) and last year he took quite a bit of time off his races in this spool from what he'd done before, so we are hoping for that again. (He's hoping to swim a 14.0 and 34.0) If you could please say a prayer he performs well, we are all hoping to watch him in swim for the State team again, this time in Corpus Christi, at the end of July. I'm optimistic he'll make the team for at least one event (only needs to place 1st, 2nd, or 3rd to qualify) having done so well under pressure against every other team and swimmers all season, but in the 25 m there are few boys hot on his heels! Here he is with one of his teammates (Jonathan on left). They will be swimming a 100 m medley relay with two other boys and it would be awesome if their team makes it to state so they can all go together! They are in my prayers, too! This year is especially sweet as well because William joined the team and will swim also swim 25 free and a freestyle relay at City. He's gotten so much better at swimming the past five weeks being on the team. Anyway, if any of you have children who you think swim team might be too difficult/not quite ready for because it looks like endless laps and their stroke isn't all that strong, I assure you after 5 weeks of swimming an hour a day, they will really improve lol! 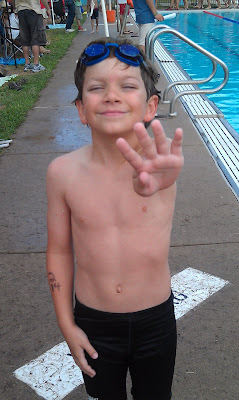 He's taken 2-4 seconds off his 25m freestyle every week for the past four meets, went from a 48 to a 35.6 last Saturday! 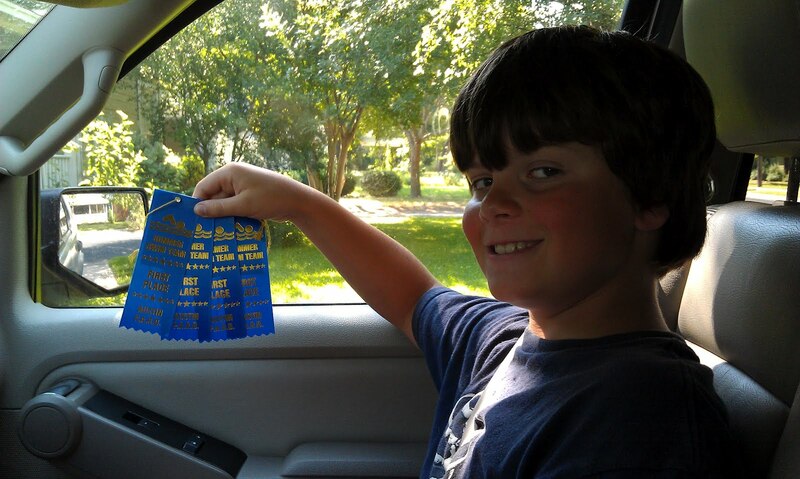 Here he is after last week's race, proudly showing he took 4 seconds off from the previous week's race or a new personal best. Please say a prayer for William! Tonight they have a diving practice at the pool they'll be swimming in Saturday, and I'm so glad for them to have the warm up and experience there because they don't dive off blocks at the neighborhood meets. William's never raced with the touch pad either for the timer, so there will be a lot of first for him and things to adjust to. Hope you had happy fourth! We made flag cake with strawberries, Cool Whip and blueberries and had friends over for brisket. We'll be making a pie tomorrow with all the leftover blueberries tomorrow (except mine will have homemade crust!) as we have family coming in for Saturday's meet. Both easy and refreshing summer desserts, give them a try! Thanks SO much for all the wishes for Jonathan! He had a terrific birthday, and it was a great day for the water park, probably the coolest July 1 in Texas I can remember, unseasonably lovely! More later! SO busy with work and Fourth of July prep, ackkk!! Real quick, here is the only card I've had a chance to make so far with the "plus" (positive!) border from Pretty Patterns. I wanted to show how much you can dress up a simple card front with these and add quick pops of color with the smaller elements. Card uses Memento Rich Cocoa and Rose Bud ink pads, stamp the borders in brown first and go back with the pink where you want it. See how differently, too, the borders look when they are nested inside of each other close, or when the plus are lined up to be opposite one another, creating a large open square space to add a smaller element like the coordinating plus element or small square? 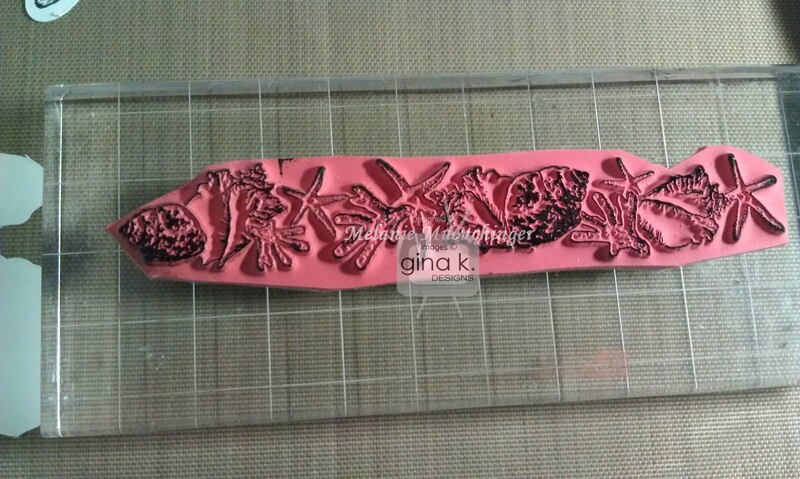 An in between size plus can then be two step stamped inside the large one to add more interest, color and variety. I love playing around with alternating where I put them (or fill them all in if I forget one I'm doing and get off by one, lol!) And so easy with Clearly Gina K, I just can't get over it or stress enough! 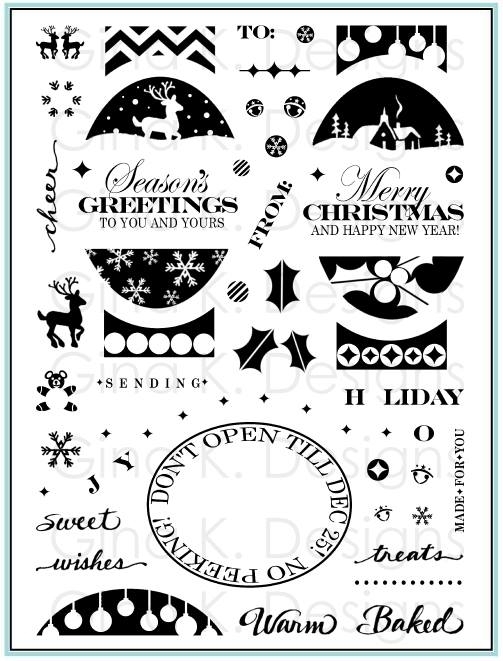 Sentiment is from Theresa's Celebrate the Season. So many new, exciting things coming up! 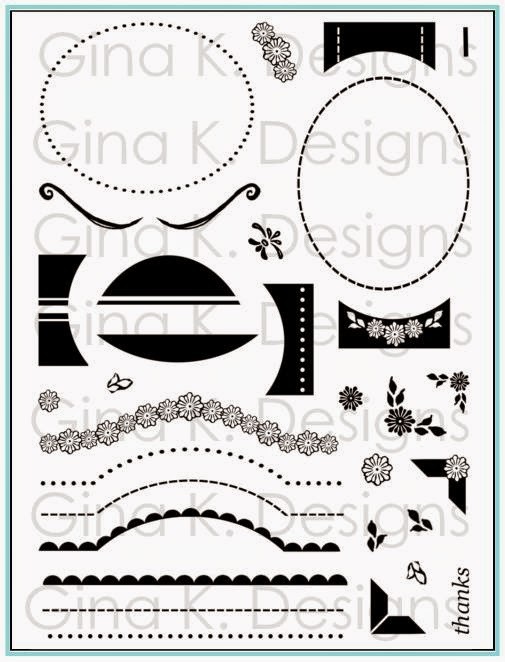 Fun times ahead, and inspiration hops with ALL the new Gina K Designs sets starting Monday!! Hugs, thanks for visiting today! 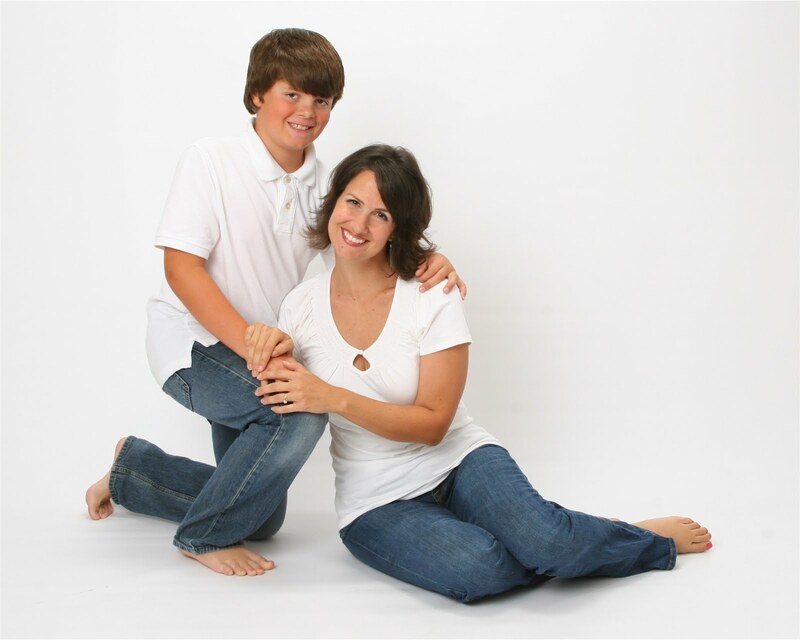 Ten years ago today, I became a mom when Jonathan (which means "Gift from God") came into my life, and my life completely changed. I am constantly amazed and humbled at how I've blessed I've been to have such a smart, healthy, talented and loving child as Jonathan. More than a son, he is truly one of my best friends. Thank you for letting me share! I'd love to add a bunch of pictures of him growing up, but we have a big day ahead to celebrate, off to Schlitterbahn! Talk to you tomorrow!